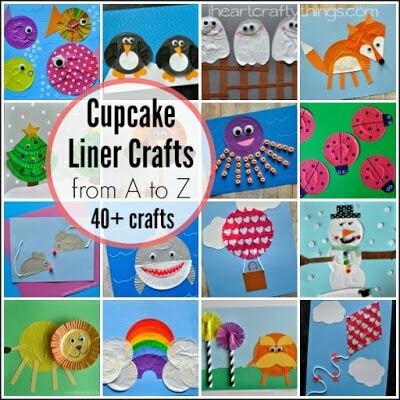 We just can’t get enough of crafting with cupcake liners! 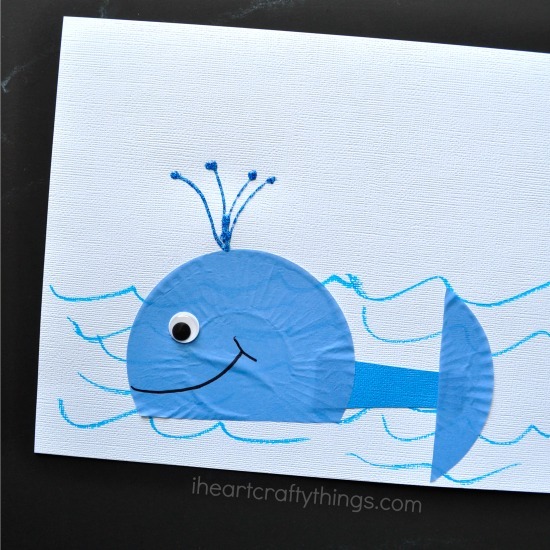 Since summer time is such a fun time to learn about ocean animals, my preschooler and I made this adorable Cupcake Liner Whale Craft for Kids this week after reading some fun books about whales. She had so much fun with it that she actually made two of them. 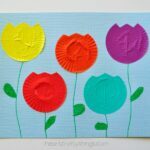 It’s a super simple craft that is perfect for any summer afternoon! 1. Start by drawing ocean wave lines along the bottom half of your light blue or white cardstock paper with your blue marker. 2. Cut about one-quarter off the bottom of your blue cupcake liner. 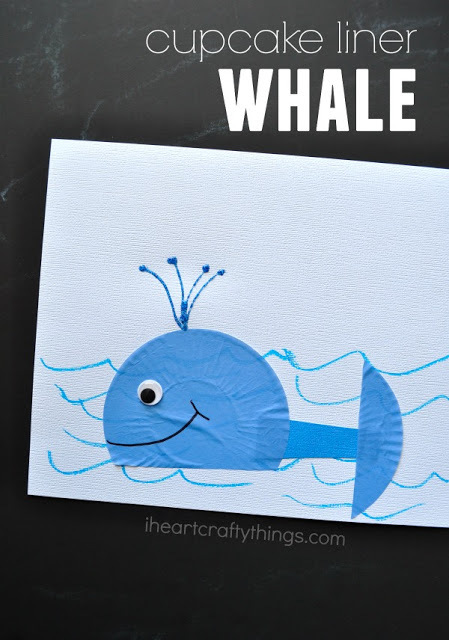 Cut a rectangle piece out of your blue cardstock paper for the whale’s tail. We cut ours a little thinner on one end. 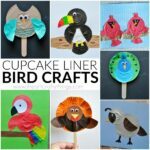 Glue the rectangle on your ocean waves and then flatten out and glue your cupcake liner pieces on each end of the rectangle. 3. Glue your googly eye onto your whale and draw a mouth on it with your black marker. 4. Finish your whale by adding glitter glue water blowing out of his spout. 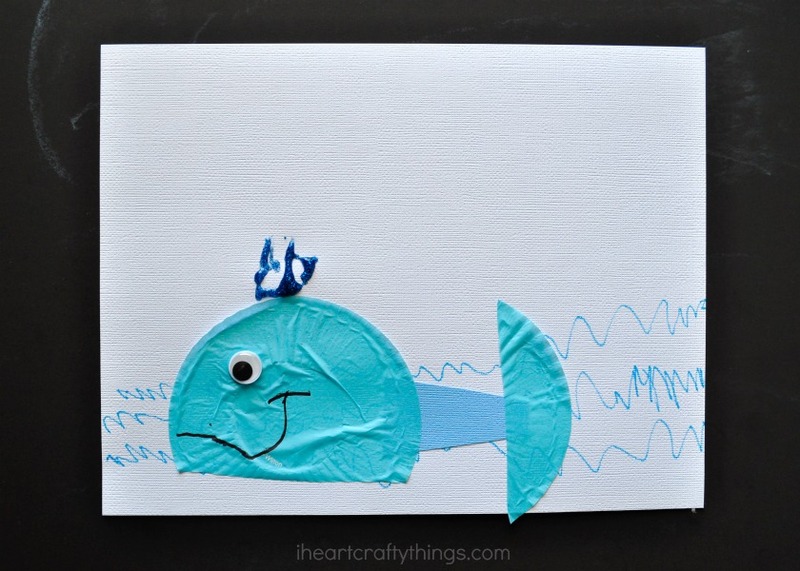 Here is one of my 4-year old’s whale crafts pictured below. We enjoyed coupling this craft with Billy Twitters and His Blue Whale Problems. 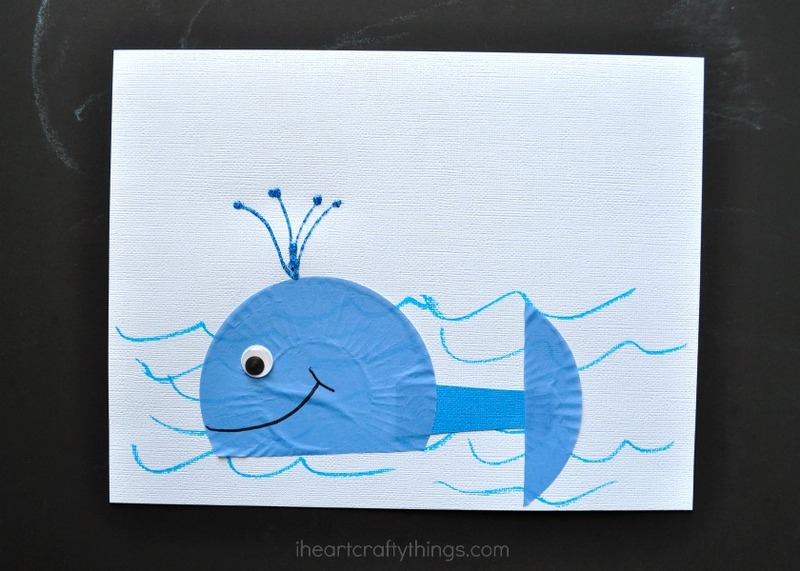 Check out how my friend Anna at In The Playroom made a Whale Craft like this out of a paper plate! 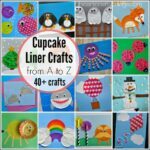 Check out more of our Cupcake Liner Crafts!